Hai case tantos tipos de torta de mazá como persoas, e a min gústanme todas. 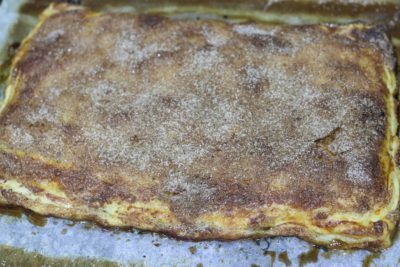 Aquí no blogue xa fixemos algunha que outra, como a torta tatin ou a torta de mazá, mais a min faltábame esta receita porque me trae recordos de cando miña nai trae da pastelaría unha empanada de mazá que me gusta moito a pesares de levar canela, que non é algo que adoite gustarme. 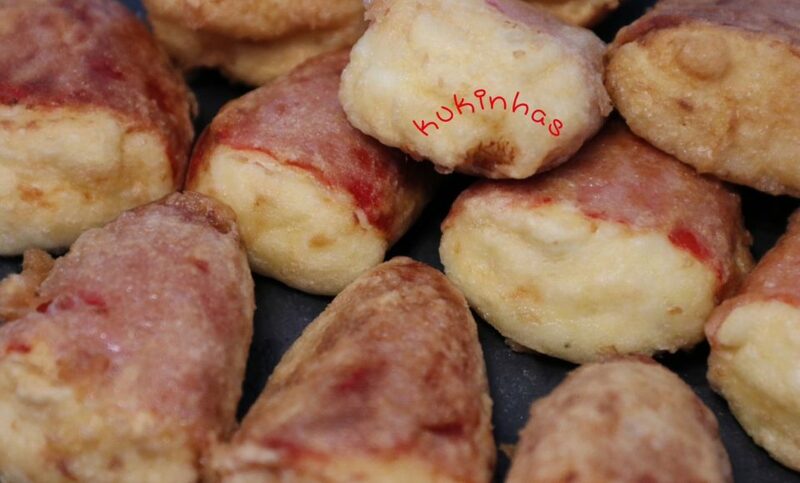 E o certo é que esta receita saíu das miñas lembranzas, tentando que o resultado final fose o máis semellante a aquela saborosísma empanada. E a verdade é que estou moi satisfeita co resultado e agardo que a probedes e vos guste tanto como a min. Imos aló! 1.Pelamos as mazás, cortámolas ao medio, sacámoslles o corazón e cortámolas en rodelas. 2. 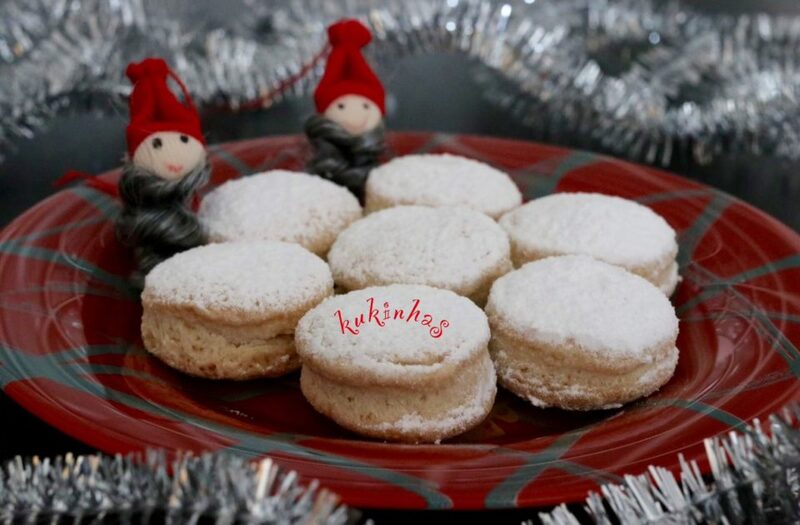 Mesturamos as rodelas co azucre e a canela e asámolas no microondas ata que as mazás abranden algo e solten o zume. Eu tívenas 2 minutos remexéndoas cada 30 segundos. 3. Cortamos a masa en dous e colocamos as mazás (sen o zume) sobre a base de follado, picando previamente a masa e deixando os bordes libres para despois poder pechar a empanada. 4. Tapamos coa outra masa, dobramos os bordes e picamos a masa. 5. Pintamos co ovo batido e esparexemos o azucre mesturado coa canela por riba. 6. Enfornamos (co forno xa quente) a 200º durante uns 25 minutos. E listo! There are so many apple pie recipes!!! I think each of us has its own version, and I must confess I absolutely love all of them. This it the third version in this blog, after the Apple Tarte Tatin and an open Apple Pie, but I knew I had to do this closed apple pie because it reminds me of one my mum used to buy for us every other Sunday, so this recipe comes directly from my memories, trying to make it as close to that one I used to have as possible. And the truth is that I’m very happy with the result, and I hope you try it and love it as much as I do. 1. Peel, halve, core and quarter the apples. 2. Mix the apples with the cinnamon and the brown sugar and then cook in the microwave for around 2 minutes, mixing all every 30 seconds. 3. Cut the pastry in two and place the apples (without its juice) over 1/2 the pastry, pinching it with a fork and leaving some space all around the edges to close it later. 4. Cover with the other half of the pastry, close it by folding the edges and pinch it. 5. 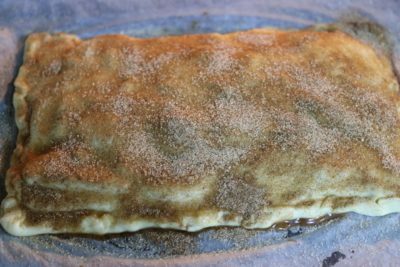 Brush with the beaten egg and top it with a mixture of sugar and cinnamon. 6. Bake at 200ºC (oven preheated) for 25 minutes. And that’s it!